afureverfamily | Don't Shop. Adopt! Well now, the end of the year clump of holidays has passed, but there are always more around the corner – after all this past Sunday was National Chocolate Cake day. And bite inhibition is always a good topic for discussion. Funny, as I drifted off to sleep at my mother’s one Thanksgiving evening, it made me giggle how much our family holiday experiences are much like the struggle our dogs go through figuring out what and when a nip or gnashing of the teeth is allowable. And that’s not even taking into account the whole trigger-stacking aspect of the holidays. So, where do we start with all those little nippers in our house? 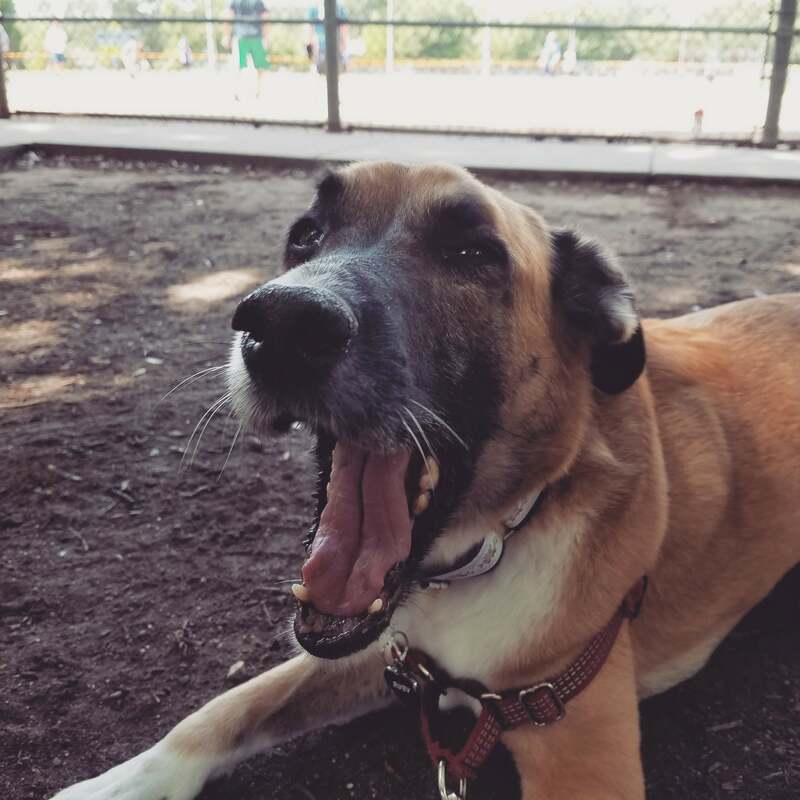 First we need to remember that our dogs use their mouths as humans use their hands. You know that even though your momma taught you better, the urge is strong to reach out and touch the arm of the person in the velvet jumpsuit. Then there is speaking their language. As we start working with our pups we want to start by using their language, the language of the litter ~ it’s a yipe (high-pitched) and then a pull away from the offender. I have also started adding a “how could you” look on my face as I have seen pups use it on each other. Okay, it’s the look I saw a couple of cute playful pups, who got the wrong end of Ruby, give her – the total look of hurt and disbelief was priceless. Oh, and not really Ruby’s fault as they were told to not approach – I know my girl! Remember part of pulling away from your pup means taking your attention away. “You bite. We stop playing.” When you take your attention away, do it in a calm manner. This goes back to that old idea that even bad attention (getting scolded) is still attention and since being part of the pack (being with you) is of the utmost importance to them. We also need to make sure we are giving them plenty of appropriate things to chew on. My personal favorite is bully sticks – be sure to look for the low odor variety. When your pup is romping with you and starts gnawing on a limb, grab that chew toy and stick it in his mouth. Talk sweetly and praise them profusely while they’re chewing on that item you gave them. I hope everyone has survived and even enjoyed the holidaze. Time to settle back in to our daily routines and take some time to snuggle the ones we love. Well, I’m sure you don’t want to hear the boring stuff from the last three years, but I do feel I need to catch you up on a few things. Ruby is now eight years old. I think she’s gotten a bit grumpier in her old age. She really has no tolerance for rambunctious puppies. She gets to go to the office with me on a pretty regular basis and absolutely adores all the attention. Tic Tac has become the most amazing cat and he and Charlie have a wonderful bond. 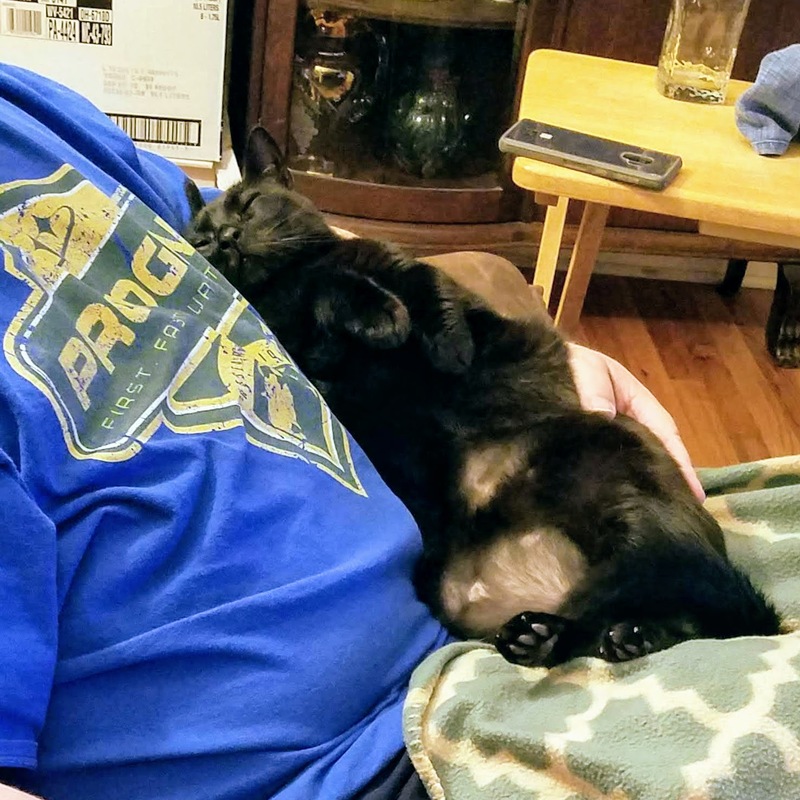 His most endearing trait is each evening he insists on laying in Charlie’s arm like a little baby. He’s now nine years old. 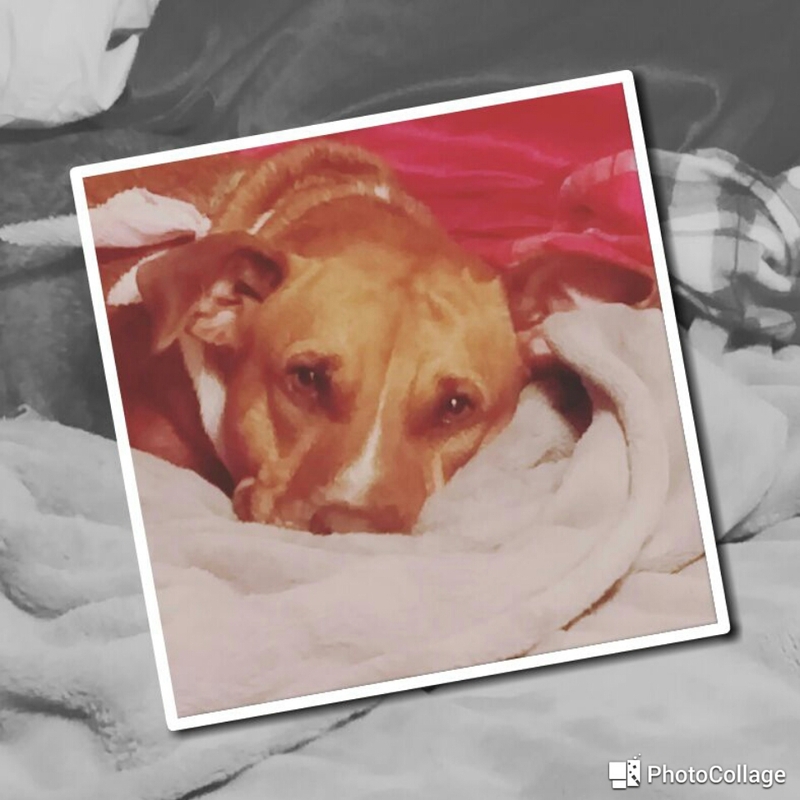 And then there’s my “heart” dog – Khayla Jane Money Pittie. Everyone is surprised when I tell them she’s twelve years old. Her exuberance when she welcomes me home each evening includes flying up and launching over all three steps of the porch. She and I can spend hours and hours cuddled up and napping together on the couch. We’re thinking of creating our own sport around this. My day job is with the American Kennel Club (AKC) in the Performance Events department. It’s data entry and a whole lot of customer service in the different field sports, like hunt test, lure coursing, herding, etc. It’s only seven different sports types, until you count up all the variations by breed groups and then it grows to eighteen. I work with a great group of people, but it does make for some interesting internal dialogue because I have such a strong shelter dog background. I have also become a full-fledged trainer for Teamworks Dog Training, LLC. Who would have thought the girl afraid of dogs most of her life would be a dog trainer… with nationally recognized letters behind her name? Woot! Woot! A part of me never would have thought I would be a part of this dream team of dog trainers.After all, I spent most of my life afraid of dogs and when I did get my first introduction to dog ownership and training it was about dominating and negative reinforcement. Ugh! Working for Michele at Teamworks has opened my eyes to real dog training. Robin took me in as her assistant and when I was ready sent me on to Christi’s “finishing school.” I owe a big thank you to these two ladies. I continue to take classes with my girls and learn, learn, learn. I love this journey. Here I am again … looks like I’m going to need to post a quick update as it’s been almost three years since my last post. In the meantime, let’s talk about what is going on with my dogs being “bad” the other day. 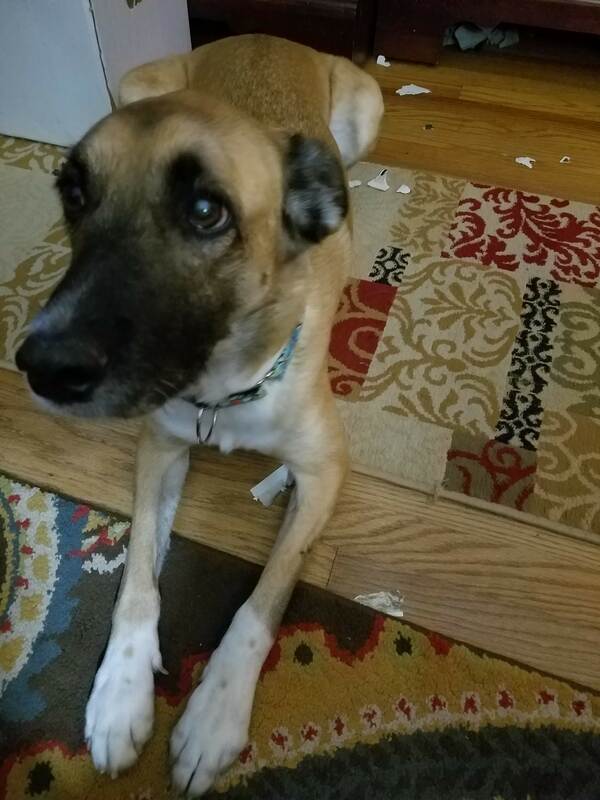 I came home Tuesday night to shreds of cardboard and paper throughout the house. I should have taken a picture, but like most people my immediate response was to clean it up. I didn’t get all of it, so I had Ruby sit next to a few remnants for a photo op. She looks guilty. She’s not feeling guilty, she’s just uncertain about why she was asked to sit in that particular spot. I’m usually more relaxed about the exact spot of the sit and she’s never comfortable when the phone is pointed at her. I didn’t scold Ruby or KK. I thought about scolding Charlie as he’s at home with them most of the day, but it wasn’t his fault either. What we can tell from the randomness of the mess is that our dogs were bored. And with that I decided it was time to come up with real plans, that include toys and activities, that tire these pups out. 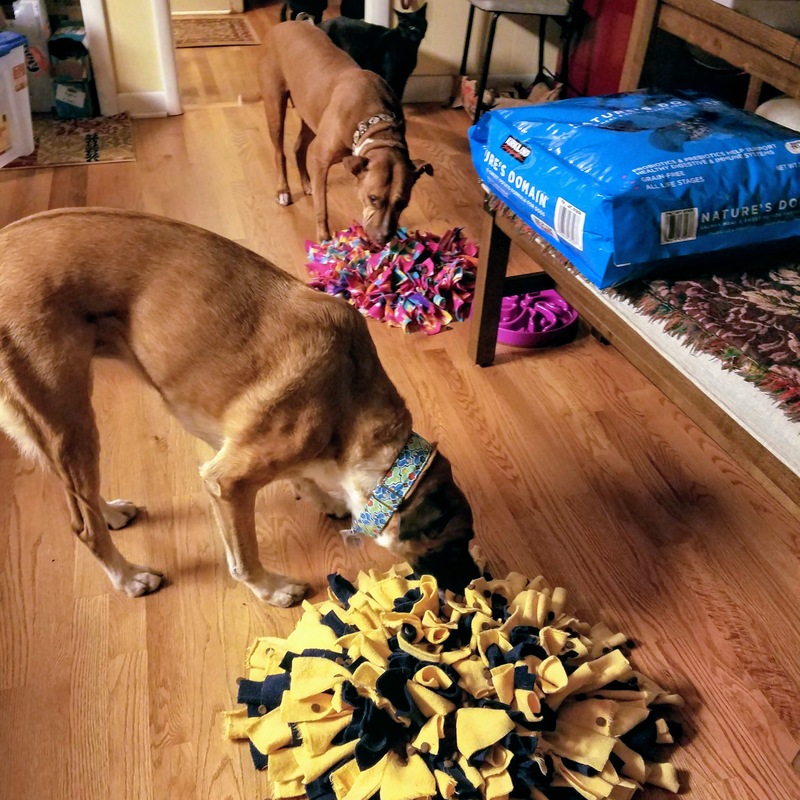 We immediately switched from food bowls to snuffle mats. Snuffle mats are these wonderful fleece craft projects that you sprinkle treats and kibble on. The food settles into the folds of the mat and your pup has to root around for them. It feeds into their want of sniffing things out, and working for their food works their brains. That work is a good thing as working their brains will tire them out as much as a romp in the yard. Side bar: Although I had great plans to make my own snuffle mat, my friend Monica was making bunches of them. You can order one from her by emailing her at mustloverotts27520@gmail.com. I’ll be back to post more as we build on the no-boredom plan. What are your favorite games, toys, activities for burning off that “puppy” energy? Yep, yep, yep – the new year has come. I look at all that I let fall to the wayside last year. I look at the political landscape and the world in general. My response to both is “Oh my!” and not in the cool George Takei way. But we stand tall, shoulders straight, and we step forward to do what each of us can to make this world a better place. 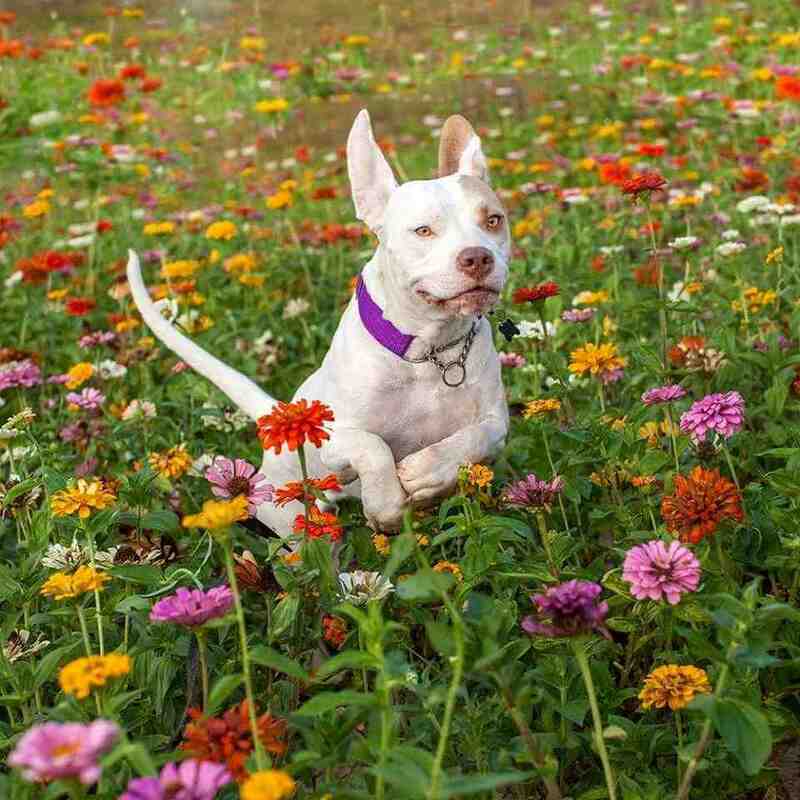 Lost and discarded pets fill my Facebook news feed and I turn my attention back to where my education and advocacy began – the Wake County Animal Center (WCAC). 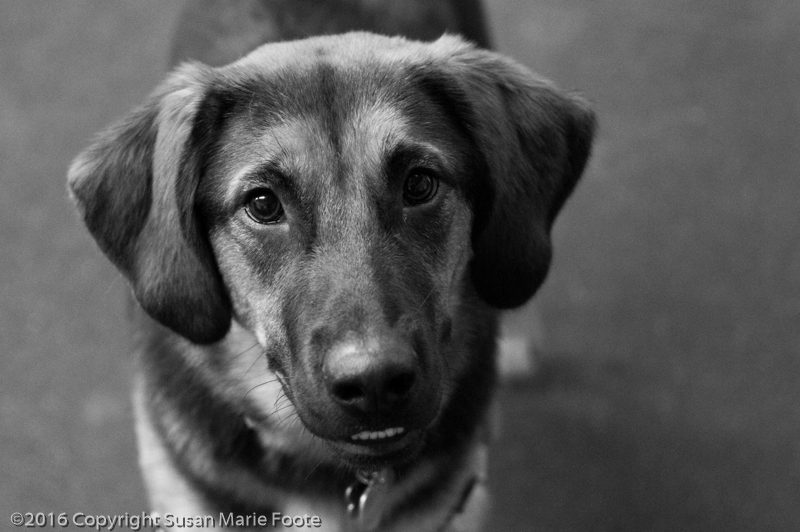 I need to get back to my roots – taking pictures of pups to replace their crazy scared intake photos. Be sure and check back to see the sweeties looking for their furever homes in 2017. In the meantime, let’s take a look at a couple of long timers who are looking for their perfect family. 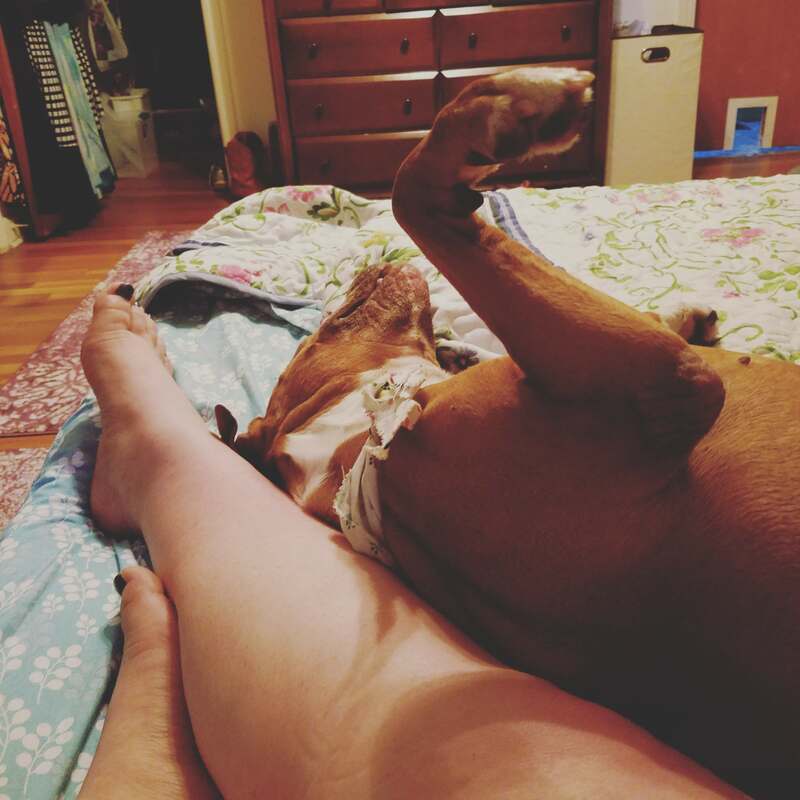 Yes, she’s chilling out in a great foster home, but she’s been in the system since June 2015 and she really just wants a family to call her very own. Lady Bell is no slouch and is looking for a home where she’ll get lots of training and exercise. 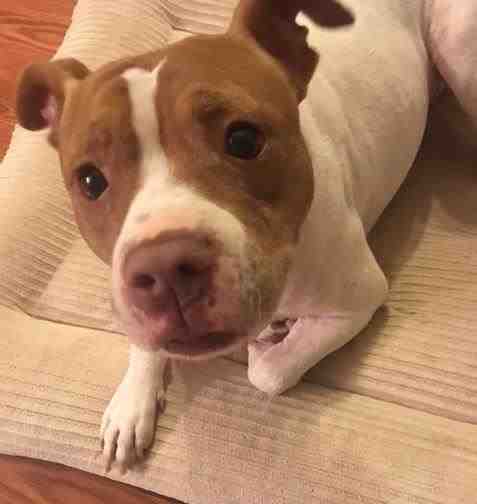 Her foster momma says some of Lady Bell’s favorite things are “playing with other dogs, running, wrestling with other dogs, playing in the water, belly rubs, treats and chew toys.” Here are few pics of her enjoying life. She does need a house rather than an apartment, and a good fence as she loves to jump. Also, small children and feisty cats are not a good match for her active, curious ways. So, if you’re looking for someone to do things with – agility, walks, runs, dock diving – contact Lady Bell’s foster momma at wcacfoster@outlook.com. Being a Staffy fan, I just can’t resist this face. Junior is a 4-year-old American Staffordshire Terrier who has been in the shelter system since November 2015. 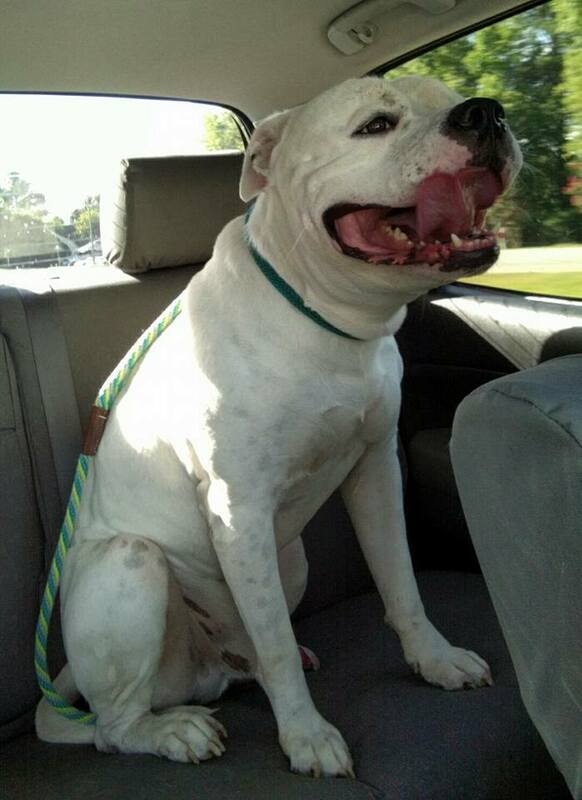 He’s currently in foster care getting lots of love and heartworm treatment. He has what I consider classic Pittie traits, loves lots of human attention and just being a couch potato until you bring out his tennis ball or dinner bowl. He can be shy, so he needs slow proper introductions with both humans and dogs and would probably do best in a quiet home. 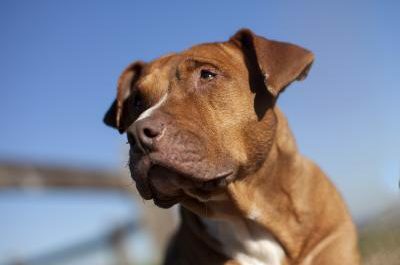 Email the shelter to talk with her foster family and get all the great details. Remember, when you’re looking for that new family member, check out your local rescues and shelters. The WCAC is open seven days a week from noon until 6 PM. 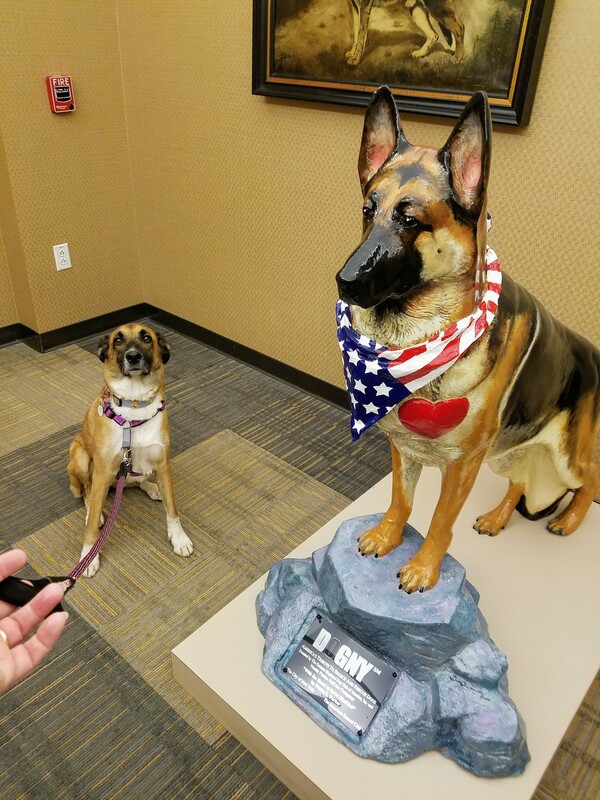 You can start your search by checking out the gallery here https://pets.wakegov.com/. I’ve been contemplating how to mark National Dog Day today. I could tell you – or is it retell? – the story of spending the first half of my life terrified of dogs and how these days my life is all about dogs. I thought about making a gallery of all the dogs that have graced these posts. Mostly I just want to share with you the dogs that have and do fill my life. These guys and gals can make me crazy, but I can’t imagine life without them. Heck, I don’t much know how I can vacation without them. So, don’t forget head down to your local animal shelter this weekend and find yourself a new best friend – preferably a dog. Wake County Animal Center is open every day from noon to 6 PM. So, one of my part-time jobs is teaching classes at Teamworks Dog Training, LLC. I teach puppy class, a manners class, and a distraction proofing class. I really enjoy the dogs I meet and watching their progress over the course of the seven weeks. I try to make sure that the humans know what an important thing they are doing for themselves, their dogs, and the bond between them. It really does make me all emotional thinking about it. And then a friend posts a recent rescue experience on Facebook and it really drives home the importance of training. I’m posting it here, with her permission, in its entirety. 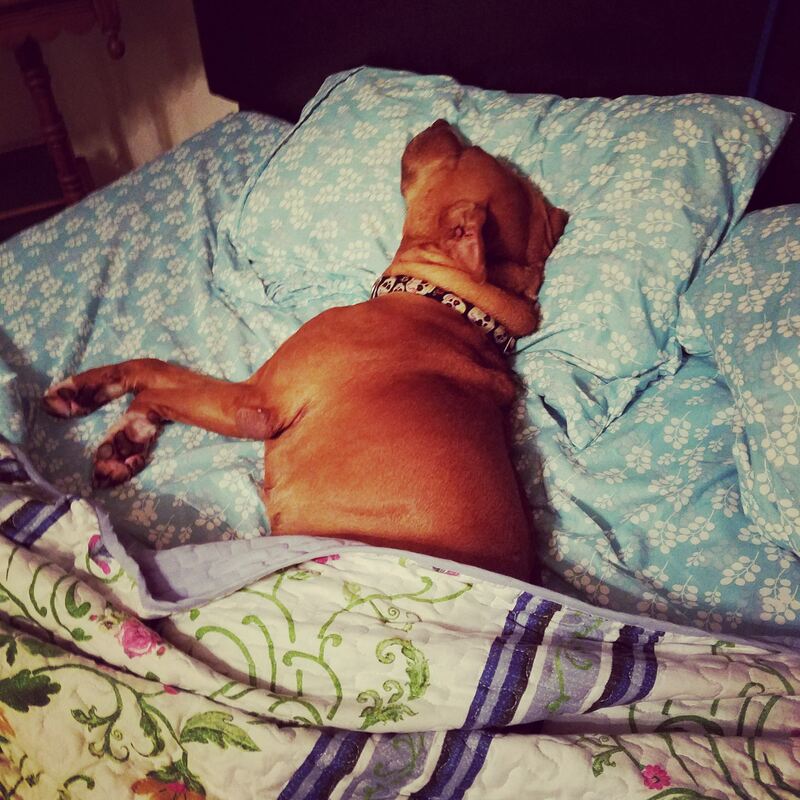 “A month and a half ago I brought home a foster dog named Optimus. He was super friendly, had a huge smile and at 97 lbs was quite the hunk. At the shelter he was uncertain, didn’t appreciate people invading his space and let you know. 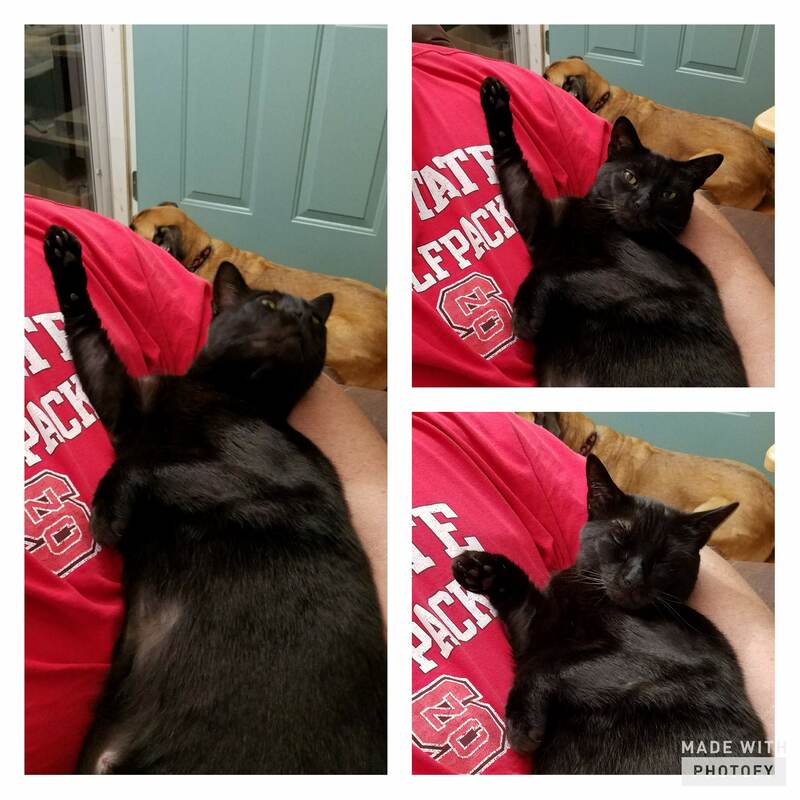 Over the course of his stay here, I got to know a friendly, happy-go-lucky guy who ignored the other animals in the house and just wanted to be your one and only. He began to trust me and would let me in his space, but was still wary of those he didn’t know when it came to his crate. “I also got to know a dog that wouldn’t tolerate anyone messing with his food or high value food treats. 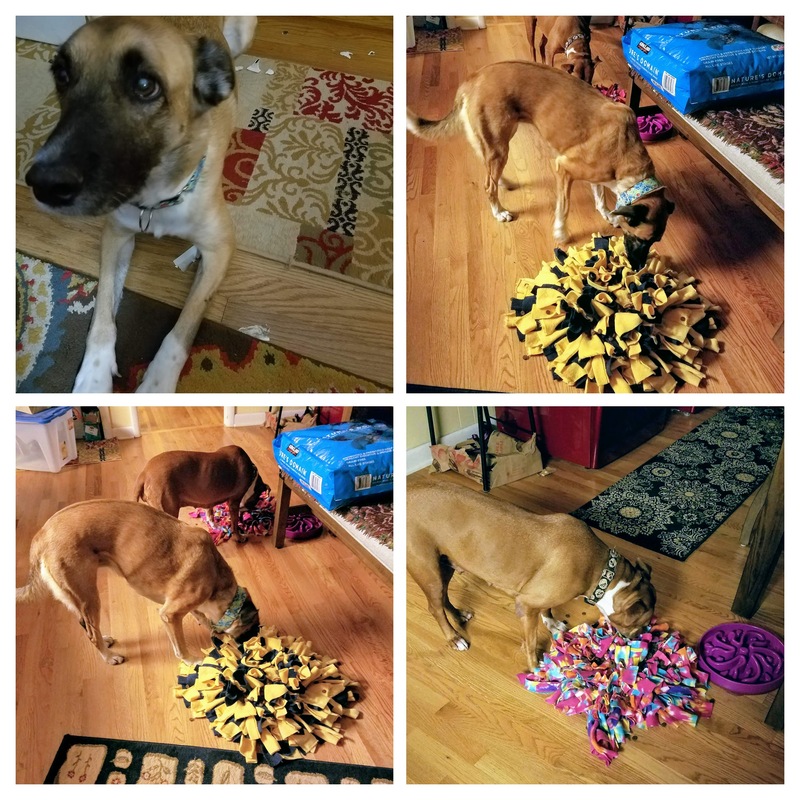 After an evaluation by a reputable rescue, it was determined that because his behavior was so ingrained it would be difficult (if not impossible) to reverse and even more difficult to manage given his lack of warning. Not to mention the sheer challenge of placing a dog like this in a responsible home. His power, size and behavior made him a high risk for becoming a future bite dog or even worse. He was deemed not safe to adopt out. While it hurts my heart, I completely agree. As a result of this determination, Optimus was euthanized this morning. I hate that it had to be this way for him. “Why did it have to be this way? Because while his owner was happy to have a big, powerful, gorgeous dog, he didn’t think it was important enough to train, mold and shape this big, powerful, gorgeous dog into a well-behaved and safe animal. So you see it means the world to me to see Mister M come to class with his mom and dad. He’s just nine months old but has been bounced around to several homes and fosters – hmm, maybe that’s what makes him such a bouncy guy. He’s an adolescent who hasn’t had any structure or direction in his life. He is loveable and boisterous and real jumping bean Tigger. M has found his furever family. They understand he’s not the perfect dog (yet!) and that training is the second best thing they can do for him. I can already see they’re giving him tons of love and a good home. At Teamworks, our goal is to help you create a successful relationship with your dog by building trust and mutual understanding. We believe in and use family-friendly, humane training methods that enable effective communication between people and dogs. 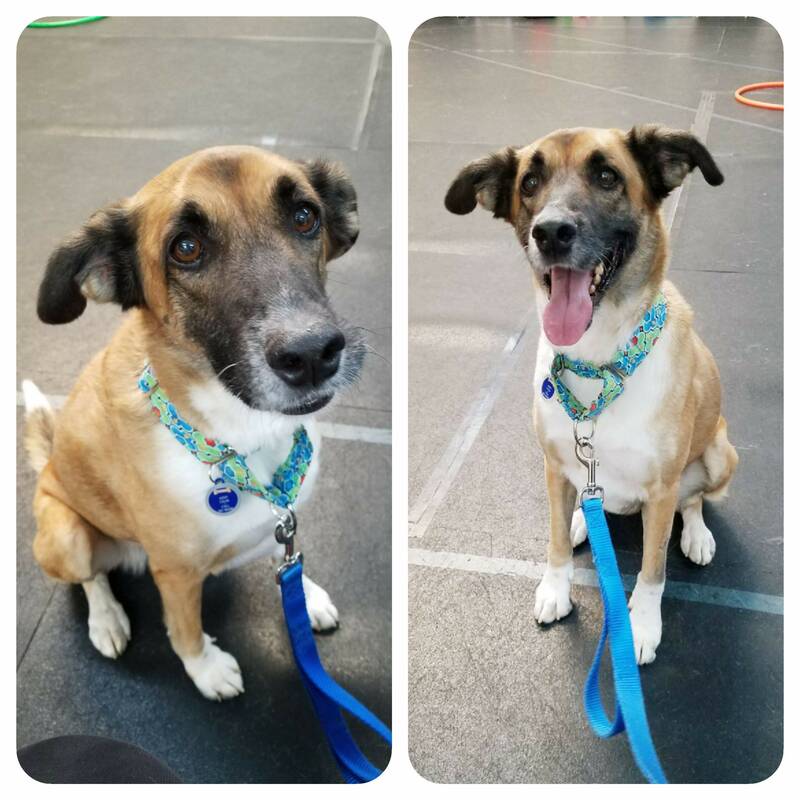 We teach our classes using positive-reinforcement based training and encourage the use of humane “people empowering” techniques. We do not use or tolerate harsh physical punishment-based methods, as that outdated style of training has been shown to damage the bond between dog and person, and often escalates aggression. At this very moment, there are 47 #comfortpitties waiting at the Wake County Animal Center (WCAC) to find their furever family. I’m done with why. 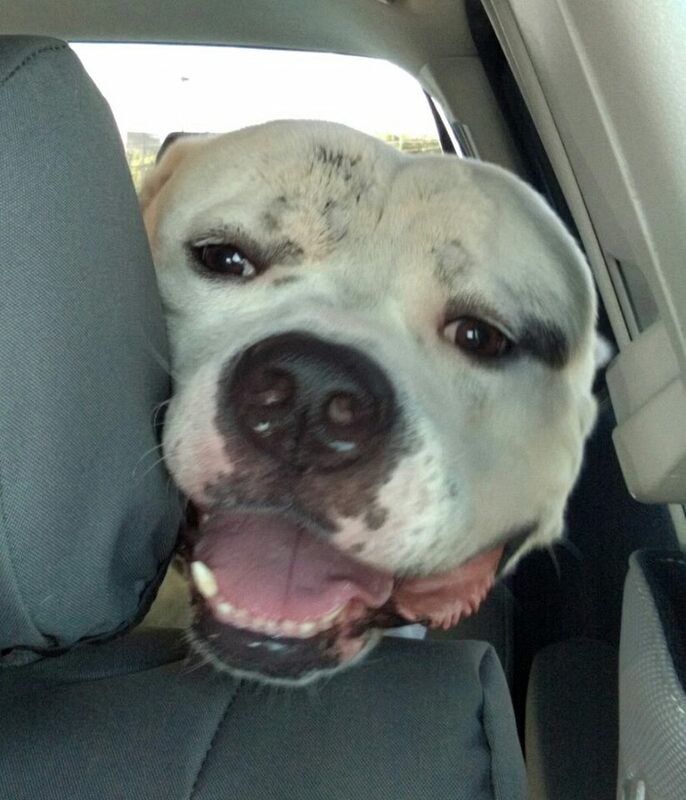 Why did this animal end up at the Wake County Animal Center (WCAC)? Why did their owner surrender this sweetheart? I’m done with it because the stories/reasons/excuses are either going to tear out my heart or make me want to punch someone in the throat. Monday night I spent a little time with each of these darlings – falling in love with each. Gladys (136850) – she gave me the Ruby look so I had to take her picture. She’s got a deposit – woo hoo! She’s super skinny and despite having just arrived that day she was all wiggles. She wasn’t looking for pets, just someone to be with her – and get a bite – and sit next to you – and get a drink – and come back to sit next to me. Socks (136504) – a distinguished gentleman of 13 years looking to be your one and only fur baby. Nesquick (136588) – a cute little girl just two years old looking for fun in all the best places. Oh, my, gosh, Scrappy (136601) broke my heart when she pressed herself in the corner and would not come out. She’d gone from living in a back yard with her doggy sister to being alone in this weird smelling, loud place. She’s become a volunteer fav and is coming out of her shell. UPDATE: Scrappy has gone to rescue! Dusty (136527) – a lady of 13 years. Won’t you make her life whole again with a fureverfamily? 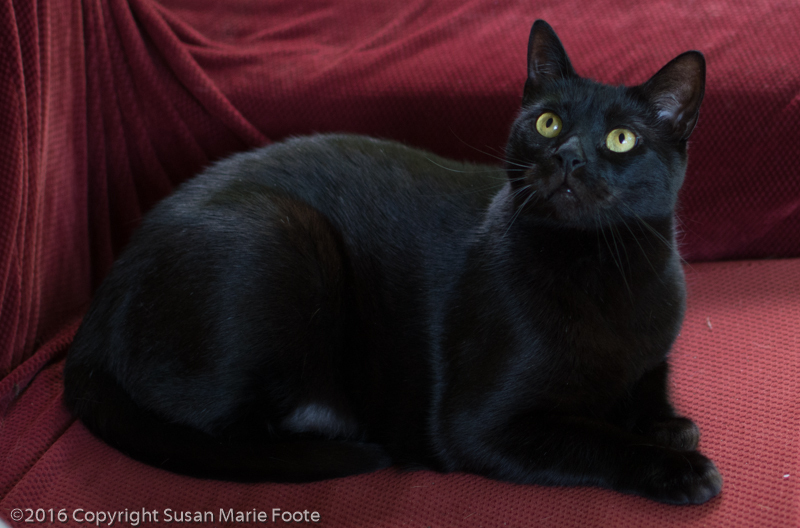 Sebastian (136855) – too much of a gorgeous boy to be a stray. And Clinton (136390) is just your typical happy gentle-treat-taking Pittie. And such a handsome boy! Okay, I will ask “Why?” Why are you still looking at these pics and not on your way to the WCAC to meet your new best friend? 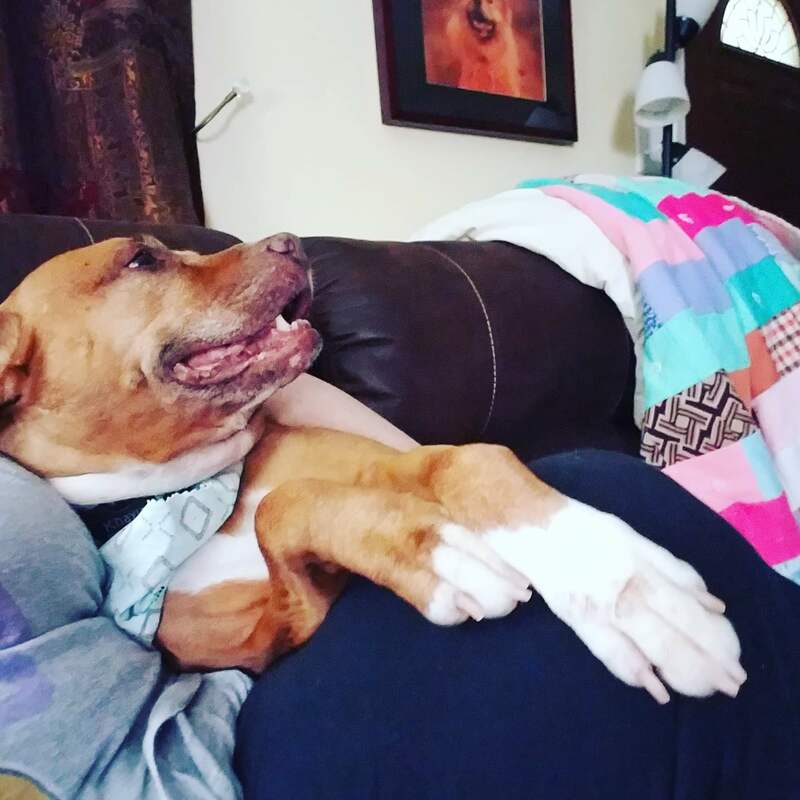 Although I get many a nice kiss from my husband, my Khayla is one obsessed kissing Pibble. Now, I’ve never minded it. In fact my first dog, Sugar, had a very rough Chow Chow tongue that gave a wonderful massage on the bottom of your feet. So you can imagine my fear when this headline came across my Facebook feed the other day: “Kissing Your Dog Isn’t Just Gross, It Can Potentially Make You Very Sick” (iflscience.com). I really didn’t want to read it, but today – International Kissing Day – I did. The blog post told the story of a poor woman in the United Kingdom who ended up spending several days in intensive care after getting a serious infection. Doctors could only figure it came from being licked by her dog. Whoa. Digging a little deeper, I found the “No Kissing Please!” post on The Hippocratic Post to be very interesting. The post talked about not only what diseases our doggy’s saliva can carry and what can potentially be transferred from dog to human, but also what we can transfer to our dogs, for example, e coli. Professor John Oxford, emeritus professor of virology and bacteriology at Queen Mary, University of London, made a point that struck home with me about how it’s not just what’s in their saliva but the fact that they always have their noses to the ground in “nasty corners”. Hmmm, good point. The post was also good in that it talked about the benefits of having a dog in your life. In the end it comes down to remaining calm and not being an alarmist about being licked by a dog. So although I will now give Miss KK fewer opportunities for a compete kissfest, I will not deny her or myself that gesture of affection and deep friendship.